Depending on the state of your oral health, you may need to wear dentures to protect your gums, help you eat food and improve your smile. And while you may picture a full set of dentures when you imagine yourself wearing them, the reality is that there are different types. Here are three that your dentist may recommend according to your particular case. 1. Conventional. 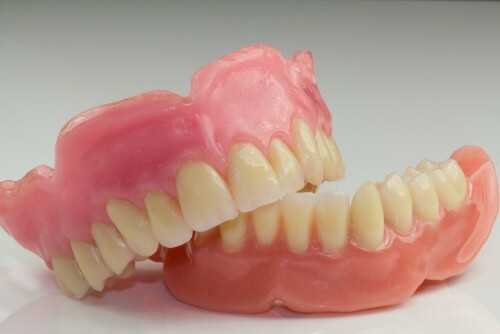 These are the dentures that you probably imagine – they're held in place by passive retention and usually require adhesives or pastes to keep them from moving around. They're fitted to gums after teeth are removed and the tissues have healed. 2. Overdenture. These can fit over remaining teeth or dental implants and are attached in place by implants that help the dentures "click" into place. They're more easily kept in place than conventional dentures and are still removed at night. 3. Implant supported denture. More like a fixed bridge, this type of denture is fixed to implants in the mouth permanently. It's more stable than other types of dentures, but the fitting procedure is more complicated and the final costs are more expensive.